For the first time since 1969, Nebraska will not have a representative on the Senate Agriculture Committee. Sen. Ben Sasse, R-Neb., broke the tradition when he announced he was stepping down. "I was asked to join the Judiciary Committee for the next two years to help lead the fight to put constitutionalists on the Supreme Court," Sasse said. "With one current Supreme Court vacancy and as many as three in the next few years, the Judiciary Committee is going to be the frontline in this fight." 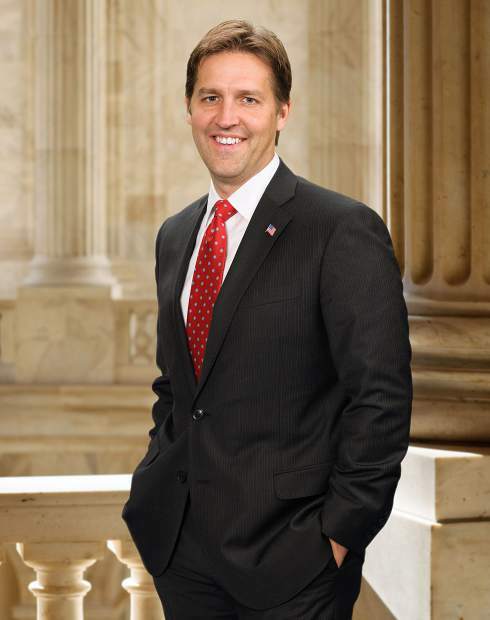 Sasse, a fifth-generation Nebraskan who grew up working on farms, went to college at both Harvard and Yale and spent the last five years of his pre-political career serving as college president for Midland University in his hometown of Fremont. He was elected to the senate in a 2014 landslide victory. He won each of Nebraska's 93 counties, and secured the second-largest margin for a new senator in the history of the state. After his election to the senate, Sasse joined the Senate Agriculture Committee and served as head of the subcommittee on livestock, marketing and agricultural security. To join both the Armed Services and Judiciary committees during this session, Sasse was required to relinquish his spot on the ag committee. By law, senators are only allowed to be members of a limited number of committees. Sasse was required to get a waiver to join his colleague, Sen. Deb Fischer, R-Neb., on the Armed Forces committee since generally only one senator per state is allowed on a committee. In addition to the Armed Services and Judiciary appointments, Sasse retained his spot on the Banking committee, a move that he says will allow him to stay involved in Nebraska agriculture. "I'm proud to work for Nebraska ag producers on the Banking Committee which has jurisdiction over trade promotion, exports financing, and access to capital," he said. Despite speculation, Nebraska's other senator, Fischer, a Sand Hills rancher did not try to fill Sasse's place on the ag committee. However, she maintains that she will stay involved in promoting the needs of Nebraska agriculture while she serves in the senate. 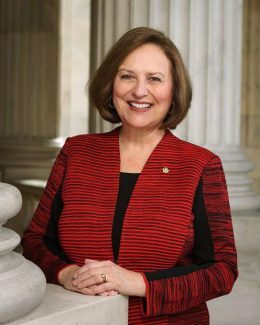 "As a member of the Senate Environment and Public Works Committee, Senator Fischer will continue to help Nebraska's number one economic engine, agriculture, by fighting burdensome federal regulations, especially those harming ag producers," Fischer spokeswoman Brianna Puccini said. Still, despite reassurances from both senators, many Nebraska farmers are concerned about not having state representation on the Senate Ag Committee. Jim Ridgeway, a rancher in western Nebraska near Scottsbluff, is worried about the future of agriculture in his state. He said that high taxes are stifling the agricultural economy there. "By the time you pay $62 to $63 an acre for taxes and water, there isn't a lot left," he said. Ridgeway believes that Nebraska needs people who represent agriculture in the senate, and he is disappointed that there isn't a Nebraskan on the Ag Committee. However, he is not surprised that Sasse stepped down from his appointment there. "When he was first elected to the senate he talked about a lot of change and he was pretty popular in this area," Ridgeway said. "But it seems like he turned into a politician once he got to Washington and he isn't trying to represent the views of the people in this area. He was very anti-Trump which made many people in the area wonder who he was going to vote for. He isn't very popular around here anymore." Nebraska is one of the nation's leading states in terms of agricultural output. It ranks No. 4 in total agricultural receipts. Only California, Texas and Iowa out-produce Nebraska farmers. Nearly one in four Nebraska jobs are tied to agriculture. The Senate Committee on Agriculture oversees all matters relating to the nation's agriculture industry, farming programs, forestry and logging, and legislation relating to nutrition and health. The Senate Ag Committee will be making many major decisions in the coming months. According to committee chairman Pat Roberts, a republican from Kansas, the committee will evaluate President-elect Trump's nominees and then start work on the important new farm bill, a document that directly affects farmers across the nation. In addition, the Senate Ag Committee will be voting on appointments to the Commodity Futures Trading Commission, an organization that regulates farm markets.